For moving and packing services from highly trained and reputable movers, turn to the professional teams at Mid Atlantic Van Lines Inc. Our movers and packers are specially trained to properly pack, transport and unpack items of all kinds. Looking for a quality and affordable moving company for your next move? Mid Atlantic Van Lines has been moving families for many years. Our experience has allowed us to understand the basics of moving and storing your valuables. We take great pride in our skilled, compassionate, and courteous staff members and know that you’ll appreciate them as well. It means a lot to us to see families that are happy and settled into their new homes after another successful Mid Atlantic Van Lines move. We put a lot of planning and energy into packing, loading, storing, moving and unloading your furniture and belongings and making sure everything arrives safe and undamaged. Thanks to our great organization, we can quickly install your furniture where you want it with the right boxes and containers in the right rooms. Our goal is to remove as much stress and hassle as possible from your move and let you and your family quickly settle into your new surroundings. It all starts with a free quote. Fill in our online quote form or give us a call. We’ll answer any questions you might have and get you a fast, no-obligation quote based on your size of home and where you’re moving to. We’re a leading Baltimore, MD moving company that also provides service to customers in other parts of Maryland, Washington DC and Northern Virginia. Don’t feel like you have to plan your move on your own. Let our expert team do what we do best and organize a fast, safe and successful move so your furniture arrives with no hassle to you. From packing to moving and storage if you need it, Mid Atlantic Van Lines is your partner. Enjoy our competitive prices, friendly, helpful team and professional, experienced movers. Mid Atlantic Van Lines Inc is without doubt one of the top-rated movers in the nation, We do not simply transfer your household goods from one location to another. we offer relocation services that will help you make decisions about what you want to do. It doesn't matter what kind of dwelling you're transferring from or to, we will make sure that it goes easily. Mid Atlantic Van Lines Inc is a moving and storage company. We don't simply offer exceptional moving services, but we have state-of-the-art private storage facilities available to better serve you. 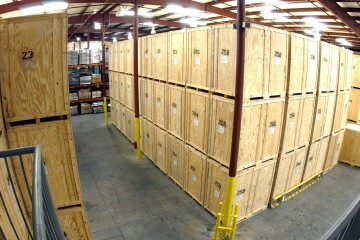 Our storage facilities have many features that will meet any and all your storage needs. Private storage units are housed in fireproof and storm proof buildings. 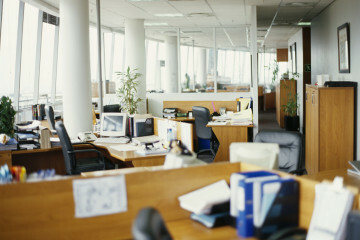 We are licensed and insured for your protection and safety. We were extremely pleased with the services that Mid Atlantic Van Lines Inc performed to us during our big move. First of all the team arrived right on time and was very nice and friendly. They handled our belongings with care, prepared and packed everything for move. The guys were very efficient, courteous and hard working. They really care about the customers. There was NO damage at all. We would highly recommend them and plan to use them again for our daughter's coming move. I'm very thankful to Mid Atlantic Van Lines Inc for outstanding service. The movers were professional and super fast, but at the same time very careful. They are dependable, affordable and very friendly. I got very positive experience. No complaints, no damages at all. If I ever move again, I will not think twice and call to Mid Atlantic Van Lines Inc. Thank you. We were referred to Mid Atlantic Van Lines Inc by a coworker who has used them recently. On the day of the move our crew of three professionals showed up on time. These guys worked extremely hard all day. They took great care to cover the furniture, doorways and stair rails for protection. Our furniture and walls were safe. They did an incredible job and our move went very easy. I cannot say enough good things about them. We appreciate their help and would definitely recommend them for your move. We had an outstanding experience with guys from Mid Atlantic Van Lines Inc. It was a real pleasure to do business with this reliable company. Friendly staff, great prices and very professional service. They took incredible care in packing and moving our furniture. And also they were very helpful in giving up tips for moving preparation. We will be using Mid Atlantic Van Lines Inc Again!